Planning a garden is an exciting and satisfying thing to do. Winter is the perfect time to plan your garden. It’s time to put pen to paper and get planning! When planning a garden you have an opportunity to harmonise the exterior and interior style and colours of your home with a selected garden theme. It means that you can inject your own personal style and completely change the feel of an outdoor space. Once the design plan has been prepared, you can confidently follow the plan advice and plant out your new garden this coming Spring. Garden design has changed and developed through history, from early settlers focusing on creating a ‘survival’ garden which included mainly edible plants and flowering perennials. Today, we have a lot of clients ask us to assist them in creating low maintenance garden. These might include drought resistant succulents, native Australian plants, or hardy exotic varieties. A landscape plan will reflect either a formal or informal style or a combination of the two. A formal garden will require regular maintenance whereas an informal style using carefully selected native and or exotic shrubs and perennials will be much less time consuming. When planning a garden, the design layout should include path locations as well as the style of path being considered. The varying levels of a property should also be noted and retaining walls (if required) considered. What materials will you use and what will blend in best with your overall style and theming? An essential consideration when planning a garden is the sun, shade and wind factors. If the proposed garden area is exposed to hot sun, is creating shade a requirement? If yes, how will you achieve this? By using shade sails, a pergola or trees? If screening from neighbours is required, will it be achieved with a tall evergreen hedge or by incorporating plants of varying heights to create a gently layering of trees, shrubs, and perennials? Planning a garden requires a thorough knowledge of plants and their growth habits. 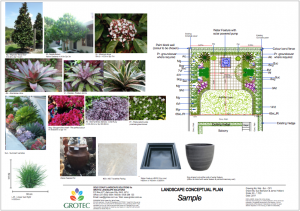 Grotec’s landscape design team are experienced horticulturists and have an extensive understanding of (and experience with) sub-tropical plants. 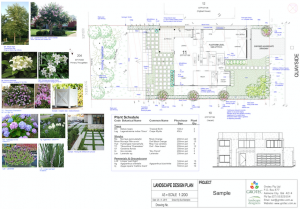 A garden design plan prepared by experienced landscape designers will provide the much needed guidance you might need on what plants will be planted where to achieve the desired end results. 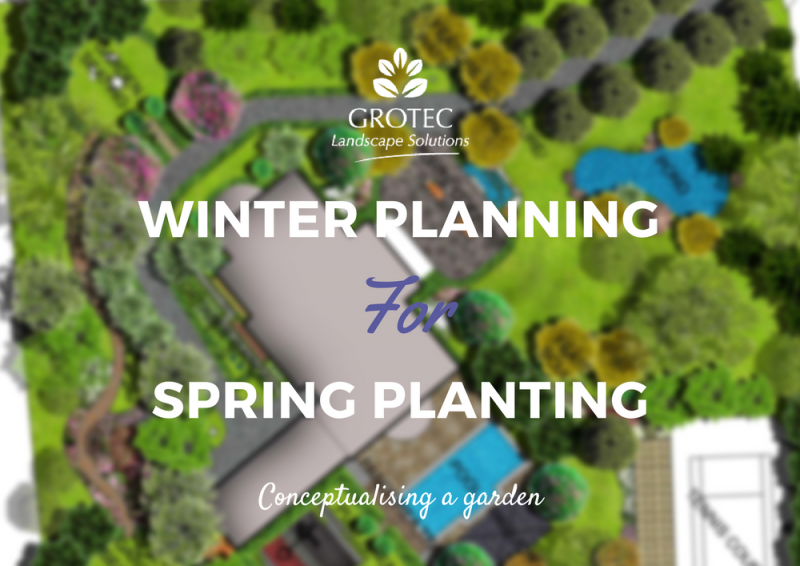 Once the garden design plan has been completed, a subject that Grotec’s horticultural team takes very seriously when preparing for a new garden installation is the condition of the existing soil foundation. Is it alive and fertile or dead soil that needs some help? If you live on the Gold Coast you’ll notice the soil varies considerably from sand to clay and everywhere in between. Determining ways to improve the soil before plants are planted is crucial to the overall future success of a new garden. The more time and energy spent on getting this aspect right first, will pay huge dividends as the plants begin to grow. If you are planning a garden, be it a new one or refurbishing an existing one, and not confident about your decisions. Consider seeking advice from professionals and get it right the first time!